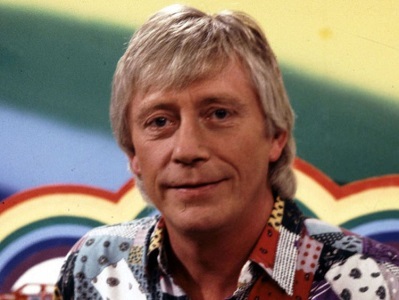 Fans of children's TV show 'Rainbow' have paid tribute to its host Geoffrey Hayes, who has died aged 76, for the impact he made on a generation. The actor and presenter was best known for his role in the long-running programme featuring cuddly puppets Zippy, George and Bungle, having appeared in more than 1,000 episodes between 1974 and 1992. Hayes died in hospital from pneumonia with his wife Sarah and son Tom by his side, his manager Phil Dale said. In memory of Geoffrey Hayes, I’m presenting some YouTube videos of ‘Rainbow’…. And my sympathy goes out to Geoff Hayes’ wife and son during this time…. Good night and may God bless…..
Brimming with mischief, the gloriously uproarious Dudley Sutton was an actor who epitomised the Elizabethan view of thespians as rogues and vagabonds, “cony-catchers and bawdy-baskets”. His face provided theatre critics with years of poetic inspiration. Sutton, who has died aged 85, was powered by stern beliefs and a desire to upset the applecart, traits that produced well-observed turns in a vast rogues’ gallery of colourful supporting roles. His most famous television part was in the BBC’s 'Lovejoy' (1986-94), which starred Ian McShane as a scallywag East Anglian antiques dealer and Sutton as his friend Tinker the tout. Unfortunately, Tinker Dell isn’t eligible to be inducted into the Television Crossover Hall of Fame. But one of Sutton’s characters does make the grade…..
“The Beiderbecke Trilogy” centres on two schoolteachers – Trevor Chaplin (James Bolam) and Jill Swinburne (Barbara Flynn) – who teach at a comprehensive school in Leeds, in West Yorkshire. Jill is a keen conservationist, interested in the environment as well as social issues. Trevor on the other hand is interested in jazz, football and snookerand has little interest in conservation. Jill being the more headstrong of the pair, often coaxes Trevor into involvement in her political activities. In each of the three serials – ‘The Beiderbecke Affair’, ‘The Beiderbecke Tapes’ and ‘The Beiderbecke Connection’ – Jill and Trevor inadvertently become embroiled in a series of unlikely adventures involving such things as political corruption, nuclear waste dumping and serious fraud. 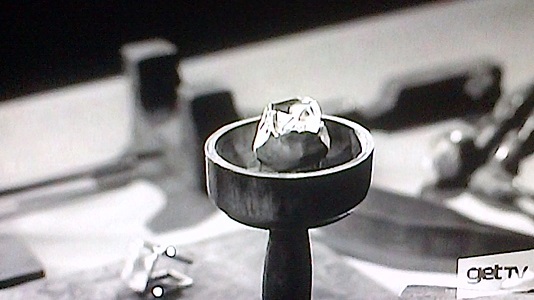 In each serial, the plot rambles, moving from one seemingly unrelated event to another, all of which are eventually shown to be interconnected. However, it is the clever interplay between the characters that is the core of each these stories. Here’s where Dudley Sutton comes in. Only ever referred to as Mr Carter, his first name is never revealed. Mr Carter is a history teacher at the same school as Jill and Trevor. Mr Carter is a solitary character, whose only friends appear to be Trevor and Jill. Mr Carter openly fancies Jill, often asking if he can sit next to her and 'kindle my desires'. The character seems to find company in Trevor and Jill as the three of them all hate Mr Wheeler, the headmaster. Mr Carter appears to be completely world-weary and jaded with his job. As we can see from two of those pictures, Mr. Carter does his best to come between Trevor and Jill. 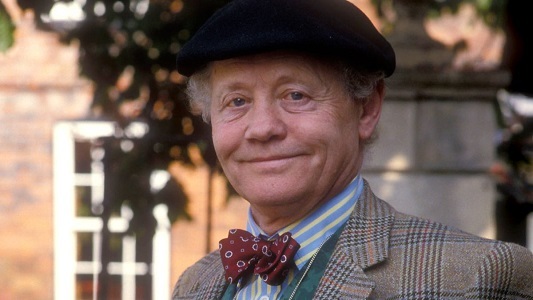 Well, it’s not the tribute I wanted to give, to Tinker Dill, but ‘twill serve for at least this one character of Dudley Sutton. Welcome to the Hall, Mr. Carter. 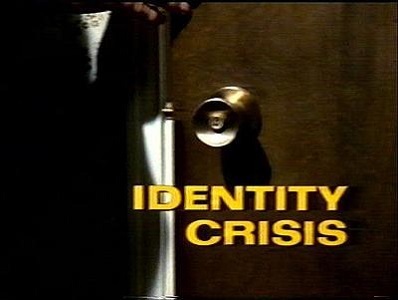 A month later*, on November 2, 1975, NBC aired the next episode of ‘Columbo’ – my personal favorite, “Identity Crisis”. A spy – excuse me – an operative named Nelson Brenner (also known to the Other Side as “Curtis”) murdered a fellow agent code-named Geronimo who had damning evidence against him. 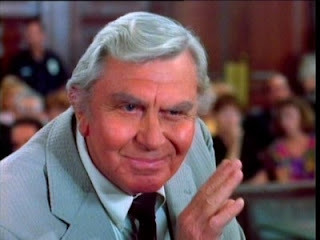 There are probably less than a dozen connections between ‘Columbo’ episodes, most of those references to past episodes like “Candidate For Crime” and “Troubled Waters”. But there are a few others that are inferences to past episodes. For instance, in “The Most Crucial Game”, it is my contention that Lt. Columbo heard a replay of the symphony performance which proved to be the last one conducted by Alex Benedict. And we have another such inference here which I can theorize to be a connection between both episodes. 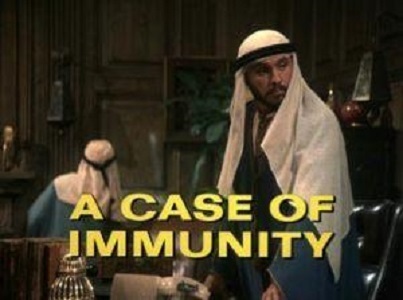 Columbo showed up at the Suari legation at an inopportune time (for Sallah) – during a reception for King Ahmed Khamil who was visiting the United States. In the background we can hear Middle Eastern flavored music which set the mood for conversations among the guests. The last place where “Geronimo” was seen was in the bar on the pier which had a Middle Eastern motif. That same music was playing while the belly dancer displayed her talents, much to Columbo’s enjoyment when he went there later to meet the witness, Louie the bartender. I think that it was a looping tape playing both in the legation and in the bar, playing the same tune by an unknown Suarian musician. Also, I like to think that Louie the bartender, whose last name was never revealed, was of Suari descent, probably a first generation American son of immigrants. He was known as Louie in his American identity, but his Suarian parents may have given him the name لويس‎ or لؤي as his birth name. There have been times when Toobworld Central has gone off on a wild theory to connect shows together. And my theories of relateeveety have not been immune to that. 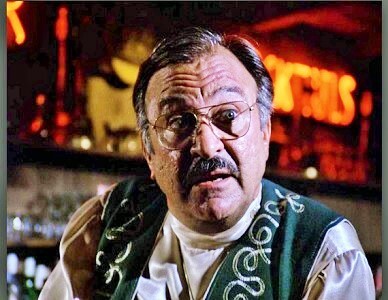 But I'm not going to go the "King Ralph" route and claim that retired cop/natural schlub Louie the bartender is related to King Ahmid Khamil, no matter how distantly! I wonder if there have been any fictional DNA testing companies which have shown up in Toobworld? *For those who never saw ‘Columbo’ in its original broadcast and who are accustomed to seeing it on a daily basis on several retro channels, it was part of a “wheel” of NBC mystery series, usually of 90 minutes in length, sometimes two hours. This gave each production team the time to craft the best episode possible for their series. It certainly shows with the ‘Columbo’ episodes. One of the biggest bugaboos for maintaining the Toobworld concept has been recastaways. The Toobworld Dynamic is a visual shared universe only, unlike the Wold Newton Universe and the Wild Hunt Universe which are concepts of the mind. They’re free to go about their business in combining the various adventures of Sherlock Holmes, for example, whether it be print, comics, movies, or TV shows with no worries about the difference in appearance. Other splainins include witchcraft, replicants, alien possession, and tried and true plastic surgery. But there was one recastaway that didn’t need any sort of splainin really. That’s because it happened in another TV show and has been designated as just that – a TV series within the TV Universe. ‘Trapper John, M.D.’ is an American medical drama television series and spin-off of the film “MASH” (1970). 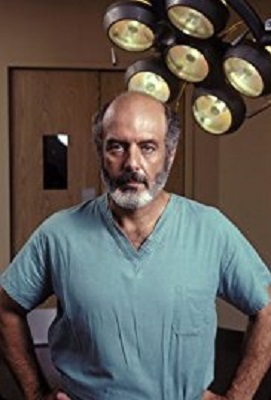 Pernell Roberts portrayed the title character, a lovable surgeon who became a mentor and father figure in San Francisco, California. The show ran on CBS from September 23, 1979, to September 4, 1986. 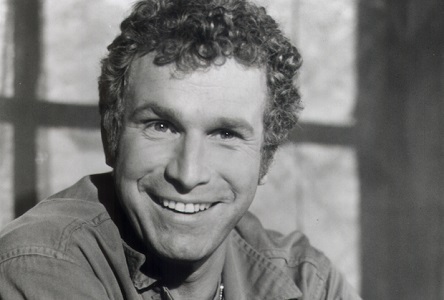 Roberts played the character more than twice as long as had Wayne Rogers (1972–75) on the TV series ‘M*A*S*H’; Roberts took over the role played by Elliott Gould in the film. 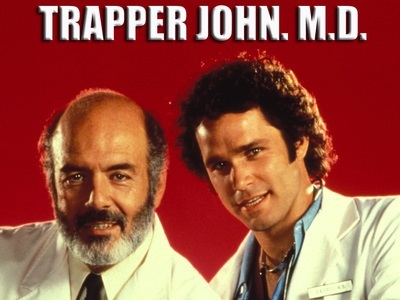 ‘Trapper John, M.D.’ focuses on Dr. "Trapper" John McIntyre 28 years after his discharge from the 4077th Mobile Army Surgical Hospital (M.A.S.H. or MASH) in the Korean War. During that time after the war, the character had mellowed considerably. He did not merely learn how to stop fighting the system but became a part of it, in a sense, as the Chief of Surgery at San Francisco Memorial Hospital. Trapper shows tremendous compassion toward his patients, often violating "established hospital procedures." 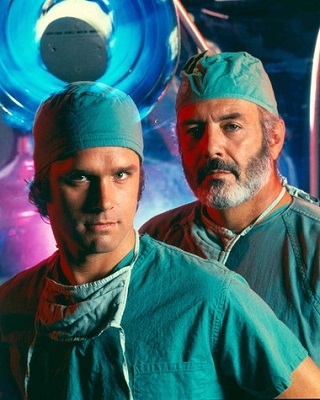 Working with Trapper is an aspiring young professional named Dr. George Alonzo "Gonzo" Gates (Gregory Harrison), who has a lot in common with Trapper, having also served in a MASH (albeit during the later Vietnam War). His sense of humor and love of life also reflect elements of Trapper's younger days. In the show, Gonzo resides in a motor home (dubbed "The Titanic") in the hospital parking lot. What I never knew until I started this post was that it sounds as if the producers were thinking of ‘Trapper John M.D.’ as a direct sequel to the movie rather than as a spinoff from the series. Not that it matters, ‘M*A*S*H’ the movie remains in the Cineverse. So Trapper John McIntyre is a true Multiversal – BookWorld, Cineverse, Toobworld. The Pernell Roberts TV show could be shunted off to Toobworld2, the Land o’ Remakes, but there were plenty of references to the show within other shows which are set in the main Toobworld. Where did you pick that one up? Lynn is the one on the hospital show. The one with the guy who used to be on 'M*A*S*H'. Why isn't he on 'Trapper John'? How do I know? Ask the guy from 'Bonanza'! Emily says she thought that only Gonzo and Trapper John dress like how Magnum dresses when she thinks he's a doctor. was a modern medical miracle." and they gave her the wrong medicine. she got amnesia and fell in love with Gonzo. "How come there were two Trapper Johns?" What's the password? Will you give me a hint? It's the name of their favorite television show. And it was watched by the robots on board the Satellite of Love…..
"Next on a very special...."
"On a very special 'Trapper John, M.D.'" "Next, on a very special 'Trapper John.'" I wouldn't have done 'Trapper John.'" So in the 1970s, some TV producer must have contacted Dr. John McIntyre and bought the rights to his story. But instead of making a show about his time in the Korean Conflict, they wanted to focus on his current career as a physician. By treating ‘Trapper John, M.D.’ as a TV show within the TV Universe, it becomes Zonk-proof. And one last show I have to worry about…..
Before his election to the papacy, Pius XII served as Cardinal Secretary of State, in which capacity he worked to conclude treaties with European and Latin American nations, most notably with Nazi Germany. His reserved leadership of the Church during World War II remains the subject of controversy, according to Reuters. After the war, Pius XII advocated peace and reconciliation, including lenient policies towards Axis nations. Eddie Mathews struck out eleven times, a World Series record that Wayne Garrett would tie in the 1973 World Series. The co-records would stand until the 1980 World Series, when Willie Wilson of the Kansas Royals struck out twelve times. The Braves, as a team, struck out 56 times, a new World Series record. In addition to Mathews' 11 strikeouts, Del Crandall also struck out 10 times, making it the first time two different players from the same team struck out 10 or more times in a single World Series. This was Casey Stengel's seventh world championship, which tied him with Joe McCarthy for the most World Series won. It would also be Stengel's last. The 3–1 deficit overcome by the New York Yankees was the first ever in a best-of-seven by an American League team. The only other instance was by the National League's Pittsburgh Pirates in the 1925 World Series. For all the stats, click here. Nick Charles was able to retrieve the Snow Fairy (seen at the top) and bring the criminals to justice about two weeks after the heist. 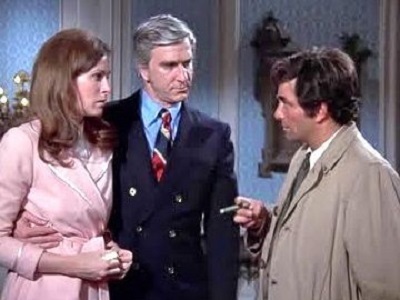 MISSING LINKS MONDAY - "COLUMBO" & "MATLOCK"
I've written a letter to Peter Hamilton. He'll receive it when he gets back from Atlanta today. Oh, just fine, all of it. Can you account for your whereabouts this evening? I landed at ten o'clock. Peter Hamilton was probably on a business trip to Atlanta as in-house counsel for the Ellison-Chadwick Agency. But that doesn't mean he didn't have time to check in with an old friend of his from the Harvard Law School. 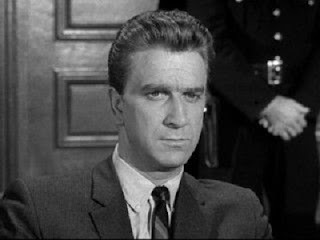 Both Peter Hamilton and Ben Matlock were born in 1926, but they weren't at Harvard Law School as students at the same time. Hamilton entered grad school there immediately after his undergrad years at university in 1948. But Ben put off entry for nine years and instead went to work to save up enough to pay his way. By the time Matlock entered Harvard Law School, Hamilton was working himself - as the teaching fellow under Professor Erskine Tate. If it weren't for Peter's mentorship under Tate's guidance, Ben might have dropped out. Once they both had moved into practice - Peter as a corporate lawyer, Ben in criminal defense - they were able to enjoy each other's friendship on an equal footing. 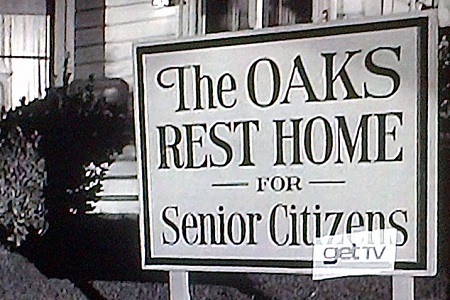 Peter sought his fortune out west in Los Angeles while Ben went home to the greater Atlanta area of Georgia. 'COLUMBO' - "LADY IN WAITING"
'COLUMBO' - "MURDER UNDER GLASS"
We honored Charlotte Rae just after she died with a memorial induction into the Television Crossover Hall of Fame for her character of Edna Garrett.